“Being caught up” is not being taken from a low place to a high place as people imagine. This is a huge mistake. Being caught up is referring to My predestining and selecting. It is targeted at all those I have predestined and chosen. Those who have gained the status of firstborn son, the status of sons, or people, are all those who have been caught up. This is most incompatible with people’s notions. Those who have a share in My house in the future are all people who have been caught up before Me. This is absolutely true, never-changing, and cannot be refuted by anybody. This is the counterattack against Satan. Anyone I predestined shall be caught up before Me. The church of Philadelphia has taken shape, and this has been entirely due to the grace and mercy of God. Love for God arises in the hearts of the myriad saints, and they tread their spiritual path without wavering. They hold fast to their belief that the one true God has become flesh, that He is the Head of the universe, who commands all things: This has the confirmation of the Holy Spirit, as immovable as the mountains! It will never change! Today You have made complete all churches—the church of Philadelphia—which is the fruition of Your 6,000-year management plan. The saints can humbly submit themselves in front of You, connected each to the other in spirit and following along in love. They are joined to the source of the fountain. The living water of life runs ceaselessly and washes away and purges all the mud and filthy water in the church, once again purifying Your temple. We have come to know the practical true God, walked within His words, recognized our own functions and duties, and done everything that we can to expend ourselves for the sake of the church. At every moment becoming quiet in Your presence, we must heed the work of the Holy Spirit, lest Your will be obstructed in us. Among the saints there is mutual love, and the strengths of some will compensate for the failings of others. They are able to walk in the spirit at all times, enlightened and illuminated by the Holy Spirit. They put the truth into practice immediately upon understanding it. They keep up with the new light, and follow God’s footsteps. 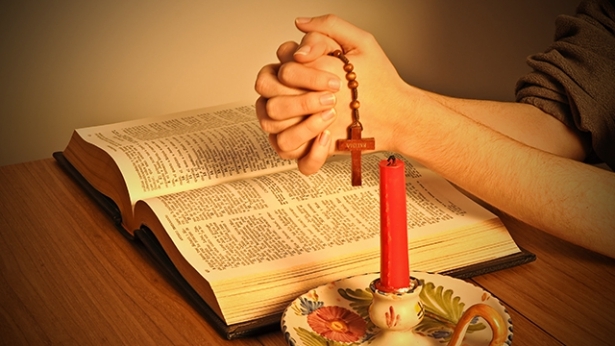 Actively cooperate with God, coordinate in service and become one, fulfill Almighty God’s intentions, hasten to become a holy spiritual body, trample on Satan, and bring Satan’s destiny to an end. The church of Philadelphia has been raptured into God’s presence and manifests itself in the glory of God. Those who God refers to as overcomers are those who are still able to stand witness, maintain their confidence, and their devotion to God when under the influence of Satan and under siege by Satan, that is, when within the forces of darkness. If you are still able to maintain a heart of purity and your genuine love for God no matter what, you stand witness in front of God, and this is what God refers to as being an overcomer. As one who believes in God, you should understand that, today, in receiving the work of God in the last days and all the work of God’s plan in you, you have really received great exaltation and salvation from God. All of God’s work in the entire universe has focused on this group of people. He has devoted all His efforts to you and sacrificed all for you; He has reclaimed and given to you all the work of the Spirit throughout the universe. That is why I say, you are the fortunate. Moreover, He has shifted His glory from Israel, His chosen people, to you, in order to make the purpose of His plan fully manifest through you group of people. Therefore, you are those who will receive the inheritance of God, and even more the heirs of God’s glory. Perhaps you all remember these words: “For our light affliction, which is but for a moment, works for us a far more exceeding and eternal weight of glory.” In the past, you have all heard this saying, yet none understood the true meaning of the words. Today, you know well the real significance they hold. These words are what God will accomplish in the last days. And they will be accomplished upon those cruelly afflicted by the great red dragon in the land where it lies. The great red dragon persecutes God and is the enemy of God, so in this land, those who believe in God are subjected to humiliation and persecution. That is why these words will become reality in you group of people. As the work is carried out in a land that opposes God, all of His work is met with inordinate hindrance, and many of His words cannot be accomplished in good time; hence, people are refined because of the words of God. This too is an element of suffering. It is greatly arduous for God to carry out His work in the land of the great red dragon, but it is through such difficulty that God does a stage of His work to make manifest His wisdom and wondrous deeds. God takes this opportunity to make this group of people complete. Because of people’s suffering, their caliber, and all the satanic disposition of people in this unclean land, God does His work of purification and conquest so that, from this, He may gain glory and gain those who stand witness to His deeds. This is the full significance of all the sacrifices that God has made for this group of people. I have previously said that a group of overcomers are gained from the East, overcomers who come from amid the great tribulation. What is the meaning of such words? They mean that these people who have been gained only truly obeyed after undergoing judgment and chastisement, and dealing and pruning, and all kinds of refinement. The belief of such people is not vague and abstract, but real. They have not seen any signs and wonders, or any miracles; they do not speak of abstruse letters and doctrines, or profound insights; instead they have reality, and the words of God, and a true knowledge of the reality of God. Those that God will save are brought back in batches. The first group are those from mainland China; the second group are those who are overseas. Those that are overseas are now beginning to turn toward God. The third group are those that, after the great disasters befall, will come to their senses and return before God in the midst of the disasters. Those that will be raptured and return before God prior to the disasters are many. Right now, the work of being raptured before the great disasters is quickly coming to an end. What does “quickly coming to an end” refer to? Why would I say this? It’s because the great disasters are arriving soon. If the great disasters arrive in two years, those that return to God over these two years will also be considered as part of the group that is raptured before the disasters. As for those that do not return to God during these two years, other people spread the gospel to them and bear witness to Almighty God’s work in the last days, yet they flatly deny, “This is wrong, no way! I won’t believe anything I haven’t seen myself.” No matter what others may say, they still refuse to accept it. God will place these people right in the middle of the disasters. He will use the disasters to refine and punish them, so that they are weeping and gnashing their teeth at the center of the disasters, within the darkness. “Why do you believe in Almighty God; what is the meaning in believing in Almighty God?” This is very important to understand. Some people ponder: “I originally believed in the Lord Jesus. Now I have heard such a crystal clear testimony of the Bible’s truth from the evangelists of The Church of Almighty God. In particular, I have heard Almighty God’s utterances, which are all truth and I can hear they are God’s voice. It has exactly fulfilled what is written in Revelation: ‘He that has an ear, let him hear what the Spirit says to the churches’ (Rev 2:7). 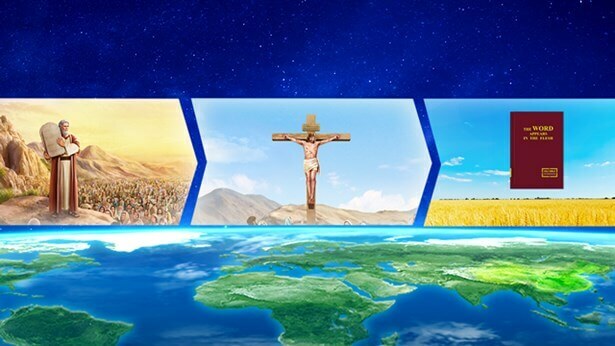 After hearing all of Almighty God’s utterances, I have confirmed one thing: The Lord Jesus has returned, and He is Almighty God.” We believers in Almighty God belong to the group of people to be raptured by the Lord. This has exactly fulfilled the Lord Jesus’ prophecies in the Bible: “And at midnight there was a cry made, Behold, the bridegroom comes; go you out to meet him” (Mat 25:6), and “Behold, I stand at the door, and knock: if any man hear My voice, and open the door, I will come in to him, and will sup with him, and he with Me” (Rev 3:20). “Behold, I come as a thief. Blessed is he that watches, and keeps his garments, lest he walk naked, and they see his shame” (Rev 16:15). Since the Lord’s prophecies have been fulfilled, we are now having supper with the Lord. In the Bible, the Lord Jesus called it “the marriage supper of the Lamb.” What is the meaning of “the marriage supper of the Lamb”? Why is it called “the marriage supper of the Lamb”? “The Lamb” is Christ, and the marriage of the Lamb means that Christ comes to make complete a group of people. He will make His sheep, those who were predestined by Him into overcomers before the disaster, therefore this is called “attending the supper.” “Marriage” is to acquire, and after that we become a family. Therefore, some interpretations of this scripture refer to Christ as the bridegroom and the church as the bride. This is called a marriage, and it is acquiring something. Speaking of acquiring, this relates to God’s work of judgment and chastisement in the last days, which is the work of judgment starting from the house of God. Undergoing this work means first being conquered by God, and after that being cleansed, perfected, gained and made complete; the work of judgment starting from the house of God is such a work. After people have undergone God’s work in the last days and have become compatible with Christ, the work of judgment starting from the house of God thus comes to an end. Once it has been completed, the group of people made complete are the group of overcomers who have been made before the disaster. What is the position of the overcomers in the kingdom of God? They are the pillars of the kingdom of Christ. These overcomers made by God before the disasters will become the pillars of the kingdom of Christ. Don’t you think it is a tremendous blessing? This is a tremendous blessing. Previous：What reward is granted to the wise virgins? Will the foolish virgins succumb to disaster? Next：Will everyone who doesn’t accept Almighty God really succumb to disaster? God’s arrival in the flesh is primarily to enable people to see the real deeds of God, to materialize the formless Spirit in the flesh, and allow people to see and touch Him. In this way, those who are made complete by Him will live Him out, they will be gained by Him, and after His heart. When Jesus came, He was nailed to the cross, and He sacrificed Himself for all sinners by offering Himself upon the altar. He had already completed the work of redemption and already brought the Age of Grace to an end, so what would be the point of repeating the work of that age in the last days? The last days have already arrived. ...This is the time when God reveals people’s outcome and their destination. The three stages of work were done by one God; this is the greatest vision, and is the only path to knowing God. The three stages of work could only have been done by God Himself, and no man could do such work on His behalf—which is to say that only God Himself could have done His own work from the beginning until today.